The simplest way to calculate the final price of your bill! 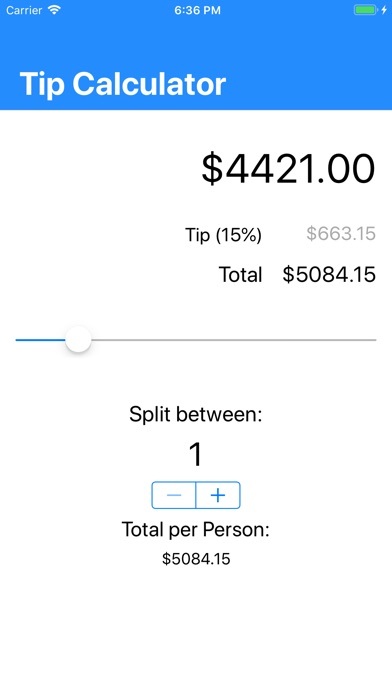 • Simply put price and select the amount of tip you want to give. • Fixed a bug that would display the wrong tip percentage after entering a new value. • The app now fully supports the iPhone 5's family screen size.